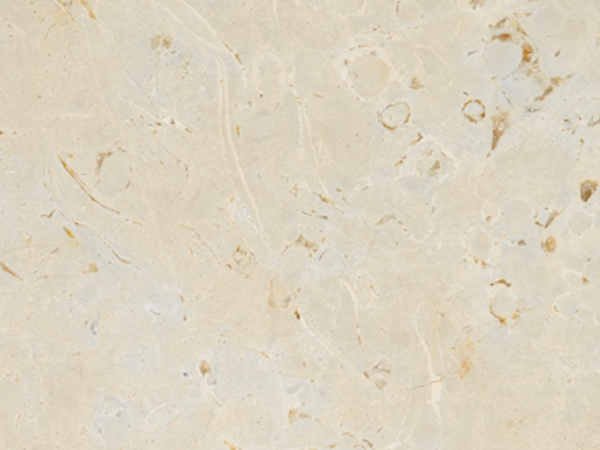 Appearance: One of the whitest limestones in the market, the main feature of Crema Corte is the rich fossil content. Brown, grey and black shell-type fossils of different shapes and sizes spread across the surface for a unique effect. Properties: Like most natural stone, colour variation and movement occur: these are part of the beauty of this – and any – natural stone. With good technical data and durability, it is recommended to seal it to extend its longevity. Full data sheet is available (EN standards), upon request. Use: Due to its good wear resistance, this limestone is suitable for all internal uses, including floors, wall coverings and bespoke stoneworks, with both domestic and public environments with moderate pedestrian traffic.